The New Patriotic Party (NPP) and National Democratic Congress (NDC) have started trading accusations and counter accusations, clearly politicising last Sunday’s tragedy involving hip-life musician Castro and his friend, Janet, who are feared dead after getting missing in the Volta Lake. Ashanti Regional Chairman of the NPP, Bernard Antwi Boasiako, popularly called Chairman Wontumi, on Thursday publicly accused President Mahama of not doing enough to tell Ghanaians about the whereabouts of the missing duo. The NPP Chairman told OKAY FM in Accra that he was very worried and had not been able to eat a single morsel of food since Sunday when the tragedy occurred. Responding on behalf of the NDC, a spokesperson of Dr. Kwabena Adjei, the party’s National Chairman, expressed disappointment at Chairman Wontumi and accused him of politicising a tragic development to score political points. “The President cannot jump in the Volta Lake to start searching for Castro himself. All he can do is to direct the institutions of state to do all within their means to address the situation. The Greater Accra Regional Minister has moved to Ada to join in the search, the Ghana Navy is involved in the search, the Ghana Marine Police is involved, the Ada District and Municipal Assembly is involved, we have military boats involved, and helicopters flying day and night in this search so if someone says the President has not spoken about it, the person is just being mischievous,” the spokesperson, who gave his name as Mustapha, stated. Mustapha noted further: “I am greatly disappointed in the NPP Chairman and he should replay what he has just said and listen to his own voice. I am sure his followers would even tell him he is wrong….If at this stage of our economic dispensation, we still have leading politicians politicising such issues of emotions and tragedy, then we should be disappointed. 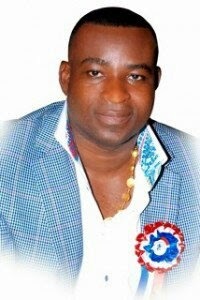 “What else does Chairman Wontumi want the President to do about it? I have always said that some persons in the NPP are defiling the status quo of our political landscape. They play politics with everything and this is not exciting Ghanaians. It is not everything we should play politics with. It is not everything that the President as a person must make a statement on,” Mustapha concluded. Meanwhile the search for Castro and Jane continue unabated though it has not proved fruitful so far.